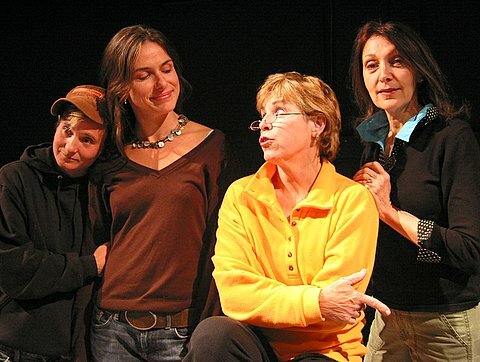 PLAYS - MERYL COHN PLAYWRIGHT. WRITER. STORYTELLER. "A feel-good, rock musical, comedy that will delight and move you. The show has it all: love, suspense, laughs, redemption, wit, poignancy, song and dance. After the standing ovation “Insatiable Hunger” lived up to its title, leaving the audience craving for more." ​"Cohn's dialogue is crisp and revealing as it illuminates the dark side of grief and secrecy. At the same time, the intricate family dynamics spark some clever, fast-paced repartee that provide genuine laughter and joy"
​ "Cohn's genius is drawing characters who manage to be simultaneously over-the-top and innately human....Whatever your own family dynamics, this is a play that will make you laugh and also, sometimes rather unexpectedly, strike you with its depth." ​"Non-stop funny, wickedly insightful and infused with comedic brilliance." ​"In her new play, Cohn mines grief for love, life-affirming moments--and humor."